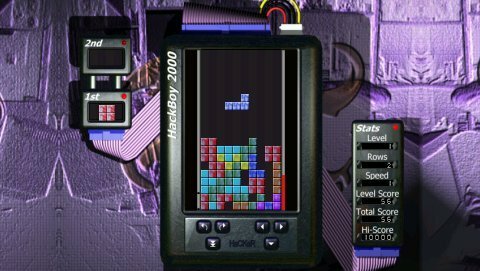 My PC Tetris game HaCKeR has been ported to the PSP under the name HaCKaH. The game only contains the main single player part of HaCKeR, because I don't have the hardware to test out the network modes. So the excellent CoOp mode will unfortunately have to wait until a future update. MP3 support is another thing on the MIA list. I did convert the game's music to wav, but it would be 25 Mb of music (and a 20Mb additional download), so I have postponed music support as well.